Lawmakers gave first-round approval April 5 to a bill that would provide child victims of sexual assault more time to seek damages. 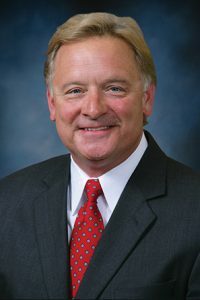 LB300, introduced by Omaha Sen. Bob Krist, would eliminate the statute of limitations for any civil action brought against a perpetrator of sexual assault against a child. He said many victims of such assault require years to process their traumatic experience. Krist said the bill would give victims an opportunity for closure and justice. “I brought this bill so that these people who have suffered these injuries could finally feel some peace,” he said. Krist introduced an amendment, adopted 25-15, which would allow the bill’s provisions to be applied retroactively to cases that had previously exceeded the statute of limitations. In those cases, a victim could file suit in civil court within 35 years of his or her 18th birthday, or within three years of the bill’s operative date, whichever is longer. Under the bill, civil action against any person or entity other than the individual perpetrator only could be brought within 12 years of the victim’s 21st birthday. Sen. Joni Craighead of Omaha supported the bill. She said allowing victims to bring civil action when they are emotionally ready is the best way to handle a very difficult situation. 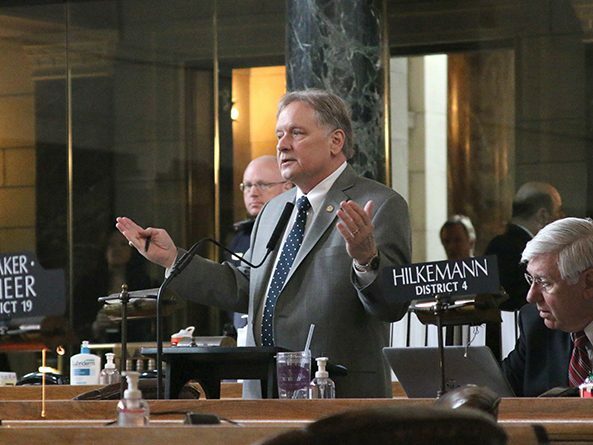 Lincoln Sen. Mike Hilgers raised concerns about the legality of applying the bill’s provisions retroactively. He said the Legislature must strike a balance between allowing victims to seek redress and letting defendants move forward with their lives. Reopening a case that already has been deemed closed could violate the state constitution, Hilgers said. “For individuals who already have passed the statute of limitations, the law says you no longer have to be concerned with a civil action,” he said. In response, Krist introduced an amendment that would add a severability clause, which means that if one part of the bill would be declared unconstitutional, the declaration would not impact the remaining parts of the bill. Krist said a case currently pending before the Nebraska Supreme Court could result in a definitive decision on the retroactivity provisions in the bill. Omaha Sen. Ernie Chambers said he supports the concept behind the bill but had similar constitutionality concerns as Hilgers. “If [LB300] is unconstitutional when it is passed, it cannot be made constitutional based on a [court] decision after the Legislature has acted,” he said. Following the 25-2 adoption of the severability amendment, senators advanced the bill to select file on a 29-3 vote.